5 Signs of a Strong Novel Plot: Are You Making These Mistakes? You put a lot of time and energy into planning your story and developing a strong plot for your novel. However, it can sometimes be a challenge to know whether or not your plot is weak – especially if you have already started writing. If you’ve ever asked the question: what makes for a good novel plot, hopefully this post will give you some answers. 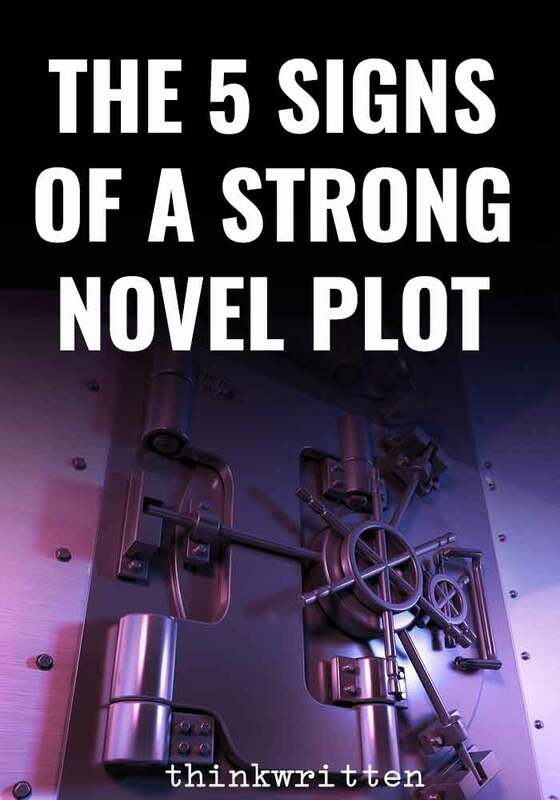 Here I will share the 5 signs of a weak plot in your novel with examples. Hopefully this will help you identify whether the plot of your novel has any weak points. When you know what makes a good story and a strong plot for your novel, you are better prepared to do the important steps in the novel writing process effectively. Knowing these 5 things will save you a lot of hassle before you write out a bunch of scenes that will end up being cut out during the revision process! 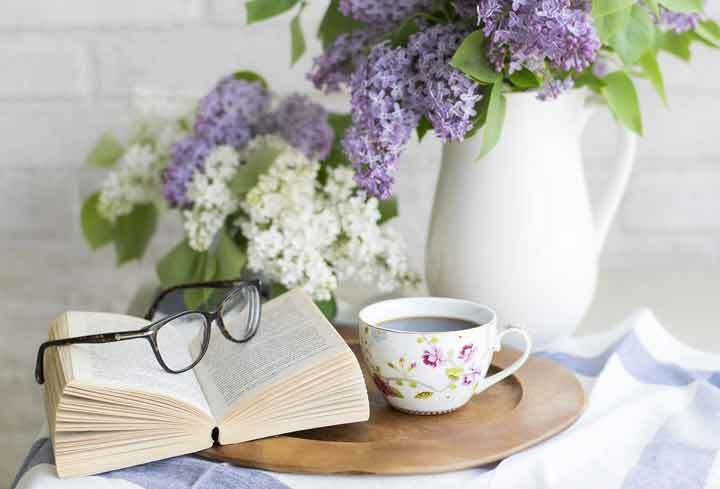 These 5 signs of course aren’t a guarantee that you’ll write the world’s greatest story – but it can help you get on the right track to make sure your plot is strong and will keep readers captivated and interested in what is going on throughout the entire book. We already know a good story needs conflict. Without conflict, there is not much to tell other than a boring tale of perfection. However, just having a conflict isn’t typically enough to leave your readers on the edge of their seats wondering what might happen next. High stakes is an expression that means an activity which is high-risk and dangerous. It’s a gambling term – and your novel should be able to convey that your characters are risking a lot in order to resolve the novel’s main conflict point. Let’s imagine for a moment that we have a book about a teenage boy in high school with a big math test coming up in a week. Passing a math test probably doesn’t seem like a big deal – until you raise the stakes. What does the character have to lose if he does not succeed? 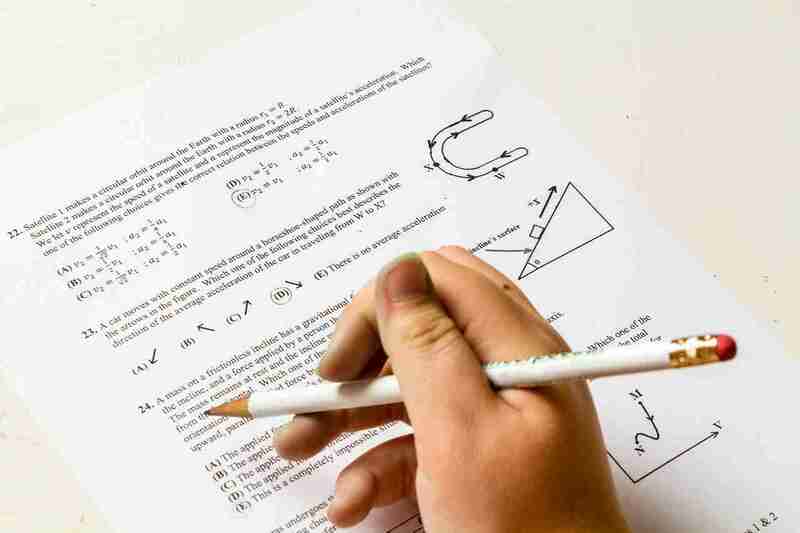 What if failing the math test means losing his college football scholarship and forever ruining his chances of playing professionally? What if he fails the math test and he gets grounded for a week? What if there is a serial killer on the loose and all of the murder victims so far have been high school students with poor math grades? See how these different scenarios can alter the stakes? With these examples you can see if the boy gets grounded for a week that’s not really a lot to lose. However, if he ends up being chased by a math-obsessed serial killer or loses his college scholarship – now that is a lot to lose and risk. Ultimately, it will be up to you as the writer to determine what the stakes should be for your characters. What is the motivation for the character’s goals? What are they risking to achieve the goal? Asking these questions can help you raise the stakes and make sure it really matters whether or not the conflict is resolved. 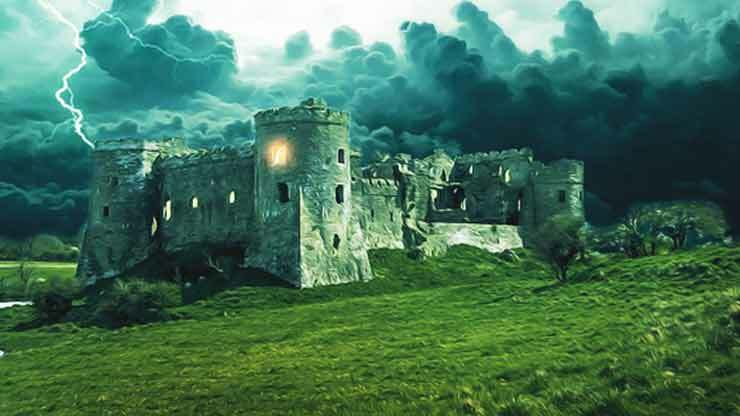 Having high stakes builds tension in your novel, and keeps the story line moving. The higher the stakes, the more vulnerable and relatable your main character will be. One of the biggest mistakes many writers make is they conveniently fix the problems and make things happen too easily for the characters. When something is difficult, you won’t meet a mystery stranger who swoops in and saves the day by just randomly flying overhead in a helicopter to rescue your hero from the side of a cliff. This just doesn’t happen, and your readers aren’t going to buy it either, even if they are well aware it’s a fiction novel. 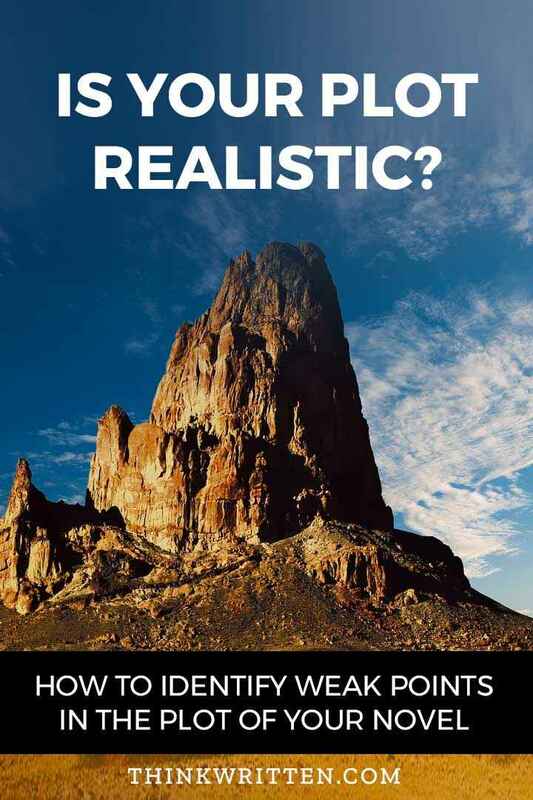 Instead, think about what is more realistically possible. Let your hero fall, get hurt, and try to survive in the wilderness for two weeks until finally discovering a dirt road that leads to a small town where there are other people who might be able to help them. Using scenarios which are more likely to be realistic makes your characters stronger and easier for your readers to connect to your story. If it’s not plausible, it’s time to reconsider what would be the most likely outcome for a specific event. One of the biggest mistakes you might notice in a book is that there are inconsistencies throughout a novel. Sometimes these inconsistencies are minor details, such as a character’s physical traits or a description of a location. Sometimes these inconsistencies are huge gaping flaws in character development. For example, in one scene your character is loving and sweet and kind. In the next scene they have developed a selfish, angry and arrogant attitude. Unless your main character is Dr. Henry Jekyll, this is not good! These things don’t add up for readers, and they can weaken your plot. When you are going through revision process of your novel, it is very important to look for these little inconsistencies that can cause confusion in your readers. Start by interviewing your characters with character development questions. Make a novel outline. Look for the holes. I know as a writer it’s easy to get distracted sometimes from your original plot and the goal of your characters. However, if you have scenes in your novel’s plot that do not contribute to the overall theme or goal of the primary climax point, you are only weakening your plot. While you might think adding a few “side scenes” here and there add interest, they actually can cause the reader to lose focus and become distracted from the main plot line. Trust me when I say a distracted reader is NOT a good thing! Instead of a strong plot, you get a weak and watered down story. When you are revising your work, it’s very important that you make sure you do not lose sight of what actually contributes to the story. Anything that is a distraction or is not critically important to the main plot should be cut. Sad as it may be to cut these scenes, your writing will be stronger because of it. Which leads me to the next point for what makes a strong novel plot. Most people read for leisure and fun. Reading is a way to shut our brains off from the usual daily grind. Some would even suggest reading could be considered a form of mindfulness and meditation. Reading a book means I don’t have to think about what I will cook for dinner, what time that appointment is next week, the 9 bazillion things on the to-do list or speculate on how to solve the universe. It gives my brain a very much needed break to turn off the world. Unfortunately, something that happens frequently is that I pick up a book, and before the end of the second chapter it starts feeling like work. I have to re-read several parts of the book. I am not “getting it” on the first try. There is a real amount of mental labor required. This happened just last week when I decided to speed-read a young-adult fiction book my daughter picked up at the library and left on the kitchen table. The book begging to be read on my kitchen table was The Whole Thing Together by Ann Brashares. I didn’t really have any expectations for the book or even know what it was about. Mostly I was just curious to see what my kid was reading. Apparently, I made a very big mistake: I didn’t read the book teaser on the inside cover first. I all too innocently just opened up the cover and started reading. Robert? Is this the father or a brother? Of course, I don’t know if any of the details above are actually accurate, because the way it was all pieced together was so confusing. Sadly, there are probably characters missing from my hashed together list above. I learned only after re-reading the chapter there actually was not a character named Charlotte, but my brain somehow picked it up as being a person because the book makes a reference to E.B. White’s Charlotte’s Web. And Uncle Malcolm lived in New Mexico, not Mexico. At that point, I decided to read the cover description for some sort of clue on what the story was about. Apparently, we have two families who share a common house, but they are not related in any genetic way. Sad to say, but I abandoned ship. I’d like to say I finished the book, but I didn’t. I stopped after the mentioning of grandmother’s adoption papers, because I was already way too confused to want to have to do the work of trying to piece together a confusing adoption for dead grandparents. If I have to re-read a chapter to understand something, that is unnecessary work and a waste of my time as the reader. I am sure this novel likely would not pass the #4 test on this list either, but I never even got to that point to get past the first scene. This book is the perfect example of the type of book that is TOO MUCH WORK to read. Apparently we also missed that memo on main vs. supporting characters. I do however give my daughter a lot of credit for being able to finish the book. I appreciated even more that she took the time to explain this crazy mess of characters and people and even drew me a diagram to explain it all. Here’s a Handy Rule to Follow: If your readers at any point need to re-read a chapter to find clarity or rely on a flow chart, map, chart, family history tree or other type of diagram to understand your book, your book is way too complicated. Your novel is only as strong as your reader’s mental energy levels. Most readers have lives outside of the world of books. They go to work, they have families of their own, they have responsibilities and stress in their personal lives like every other human being. There are already so many other things demanding energy – your book is not supposed to be one of them. Keep it simple. Your book should have maybe 5 characters that we know by name. The rest are just like ants on a sidewalk. We can make note of the ants in our story, but we definitely. don’t need to give each ant on the sidewalk a name and a backstory. Writing a novel doesn’t have to be hard. And you don’t have to even get a strong novel plot perfect on the first try. In fact, it’s very realistic to know you are going to make these mistakes as a writer. I look back at some of my early novels I wrote in my teens and cringe because all of these mistakes are present in most of them. The good news is, with experience, you will get a LOT better at avoiding these common mistakes. 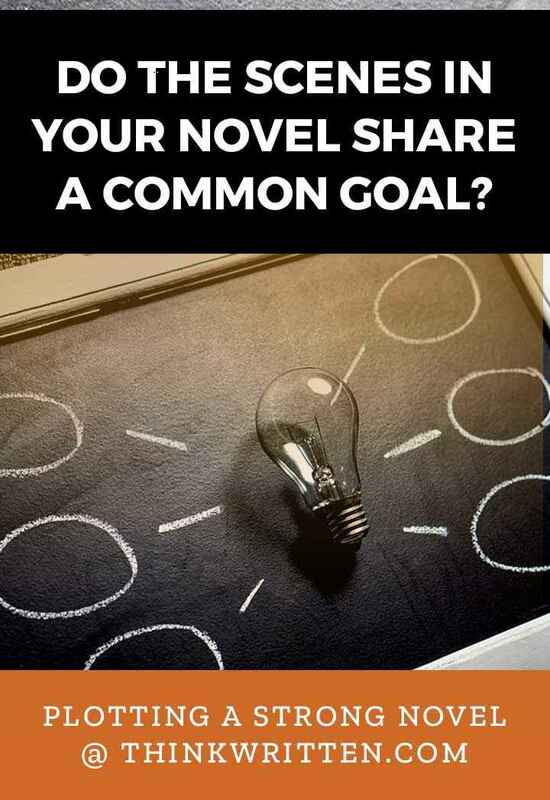 Your novels will start to pass the “is this a strong novel plot test” – and then, once you have a few good novels in the hopper, you are ready to start seriously consider publishing and marketing yourself as an author. Do you have any thoughts on what might make for a strong novel plot? Share your ideas and experiences in the comments section below!